The Dress: Alissa wears a dreamy lace applique gown by Atelier Pronovias, “Vintage,” $4,950, from Divine Designs. 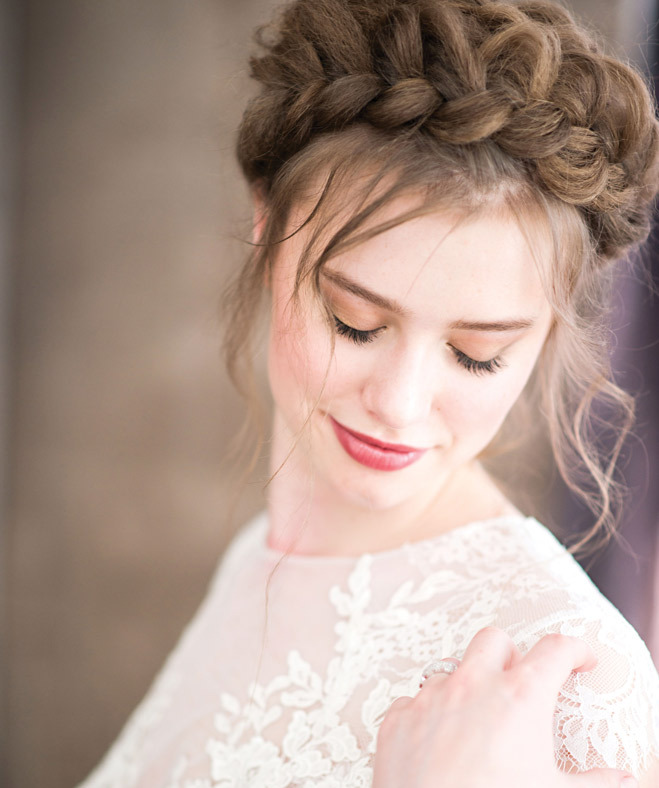 The Look: Romantic braids with an equally romantic lace gown. The Dress: Ivy and Aster’s “Secret Garden” gown with applique lace and illusion front, $1,980, from The English Dept. Amen 14K white gold band with 2.6 total carat weight pave diamonds, $10,335, from Kassab Jewelers. The Look: Platinum glam for a dramatic entrance. 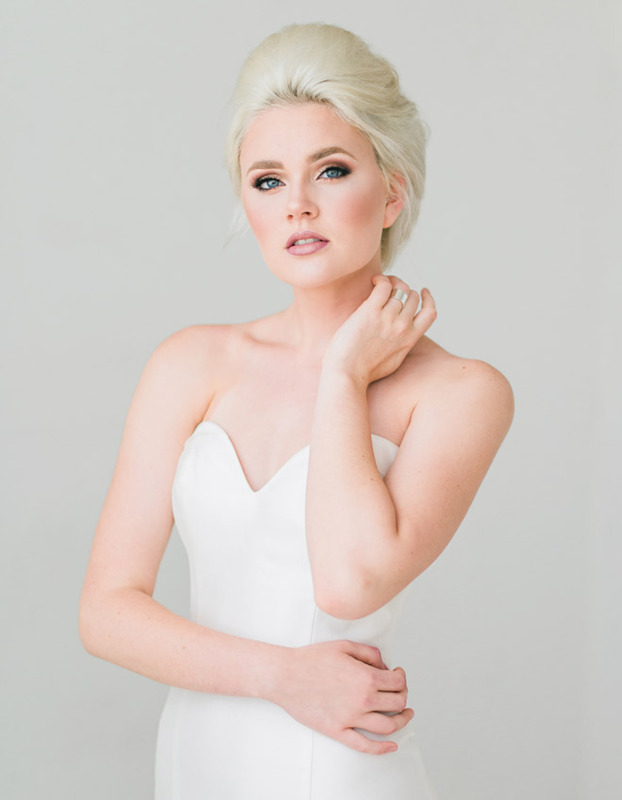 The Dress: Claire wears Tulle New York’s “Erin” shantung trumpet skirt with a sweetheart neckline, $2,850, from Divine Designs. Silver wide band ring, $44, from Bayleen. 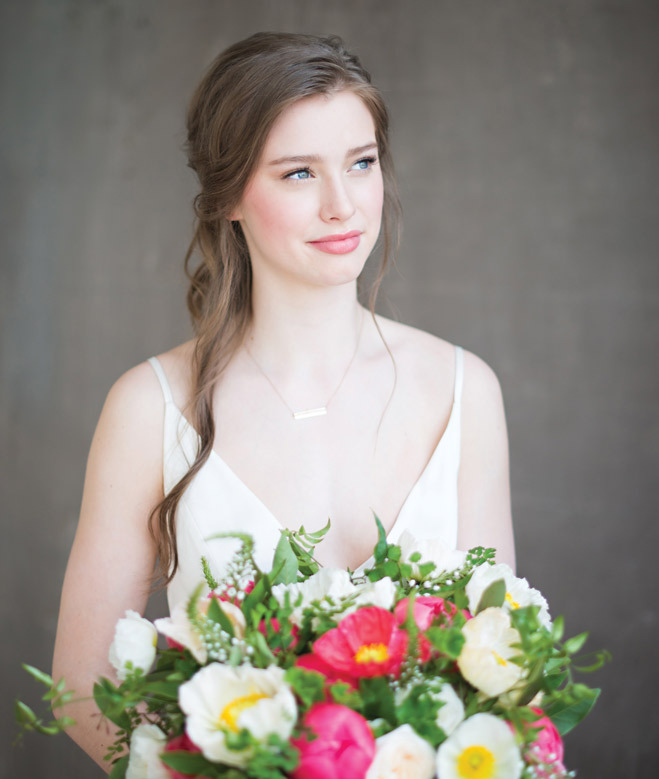 The Look: Flowing tresses and an unstructured gown with lush florals. The Dress: Clara wears Leanne Marshall’s “McKenna” silk charmeuse gown with spaghetti straps, price upon request, from The English Dept. Rose gold tab necklace, $34, from Bayleen. Bouquet with hot pink peonies and white roses from Zest. 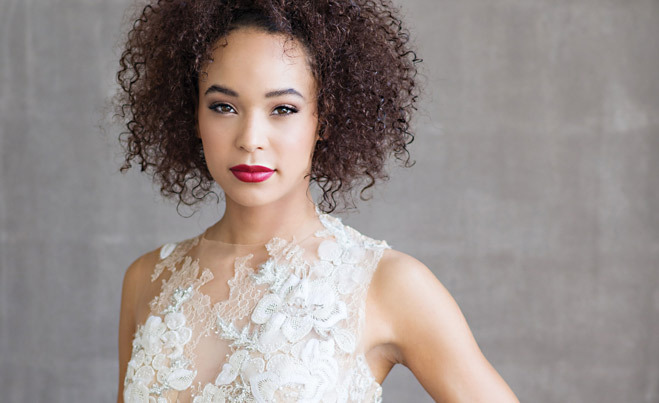 The Look: An updo that doesn’t hide the show-stopping lace back. The Dress: Michelle wears an Alfred Angelo gown that features illusion lace and fabric-covered buttons down the back, price upon request, from Merrime Bride and Soiree in Albany. Tacori diamond engagement ring, $4,390, from Kassab Jewelers. Models: Clara Gulsvig, Alissa Holmes, Claire McCann, all for OPTION, Michelle Lummus for Sports + Lifestyle Unlimited.